We interrupt the regularly scheduled Le Metier de Beaute Lip Creme program with some breaking news. I once said I was the type of girl who had to be at the counter on the first day a new collection launches. I wasn't lying. The Chanel counter at Bergdorf Goodman just received the Aquillaries de Chanel collection, so guess what I did after work today? 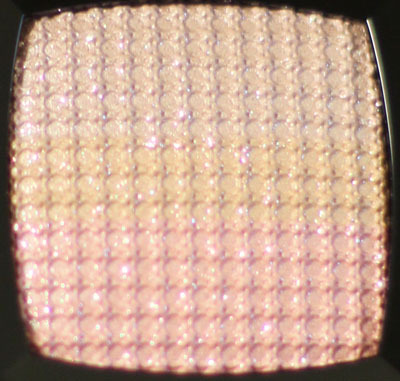 Ombres Tissees in Beiges is a highlighter with plenty of shimmer and flecks of fine (not chunky, but not microfine) glitter. 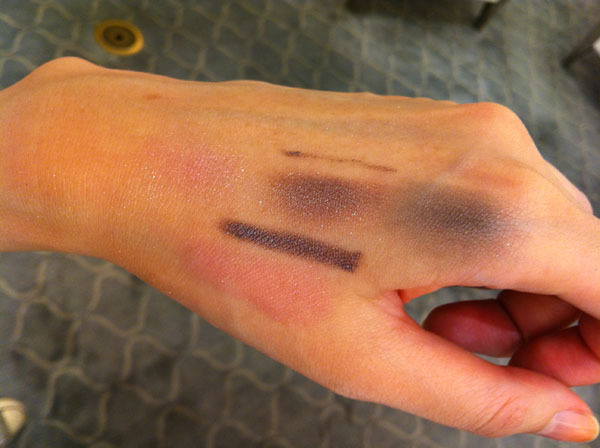 While Ombres Tissees in Beiges comes in three strips of color, when swatched I couldn't see the difference between each of them. I was disappointed to see that Joues Contraste in Pink Cloud came in the Euro baked formula. In the pan it looked like a light cotton candy pink. 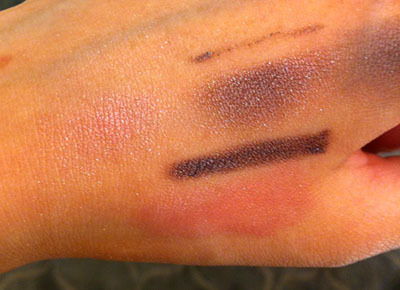 I couldn't get any pictures of swatches because the color blended right into my skin. 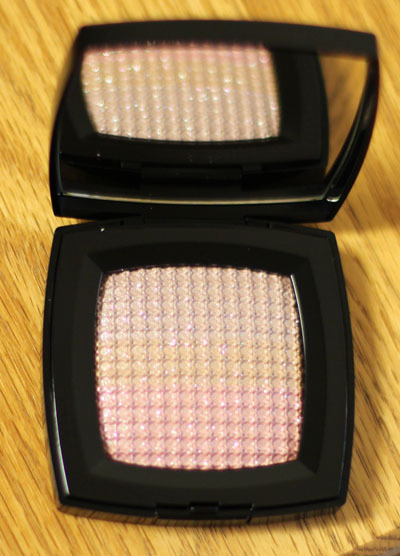 My guess is Pink Cloud will be better suited for those with much lighter skin tones. I'll try to post pictures of the items I bought (everything on my hand except Royallieu) this weekend! Thankfully I have no interest in this collection! I have heard that, even on fair skin, Pink Cloud does not show up. It basically turns out just being shimmer. Thanks for the sneak peek! I love the texture of the ombres tissees pan! I didn't realize a new collection was out already, I'll have to take a peek.